With Jon Favreau's Disney produced Jungle Book coming out in 2015 already full of big stars such as Scarlett Johnasson and Idris Elba, little news is yet to come out about Andy Serkis's Warner Bros produced version of it, set to come out in 2016 and to be his directorial debut (he was a 2nd unit director for the Hobbit movies). We learned a little while ago that Serkis's film would be titled Jungle Book: Origins (which I personally think is a stupid title) but now we have our first bit of casting. 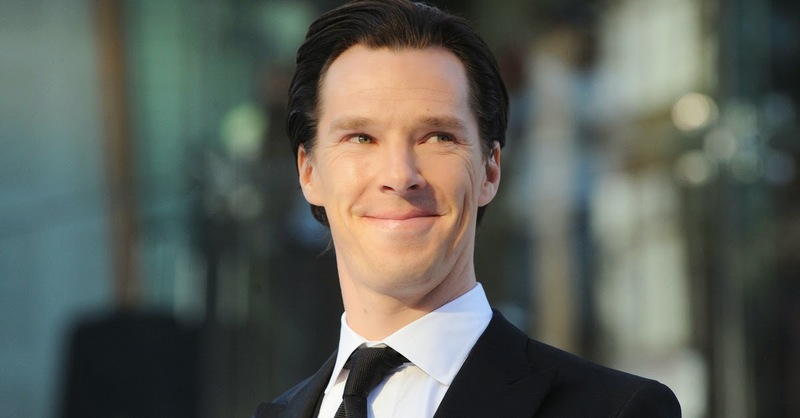 Benedict Cumberbatch will be in the film as the movie's villain, the tiger Shere Khan. The actor is known for his mesmorizing voice, and for his frightening villains. He played Khan (hmm...) in Star Trek: Into Darkness and did the motion capture for the titular dragon in The Hobbit: The Desolation of Smaug. I am really excited about this casting. I am personally looking forward to Serkis's darker version of the story over Favreau's Disney-fied version. This casting of Cumberbatch as Shere Khan is perfect. When I first heard this news, no joke, I actually yelled out loud "Yes!!". Cumberbatch's deep and dark voice will be perfect for the villain. He also used motion capture to bring Smaug to life, so he will be familiar with the technology. You can watch in this clip Cumberbatch doing the motion capture for Smaug. You can see his technique doing motion capture and you can hear his voice, which would be perfect for the Jungle Book villain. You can see the clip here. What do you think? Is Benedict Cumberbatch a good pick for Shere Khan? Which version of Jungle Book are you most looking forward to? Leave your thoughts in the comments section below.